I have a friend in Sweden, which might mean I am more aware of advances and interest in soil improvement there. I am often impressed with the news I hear. 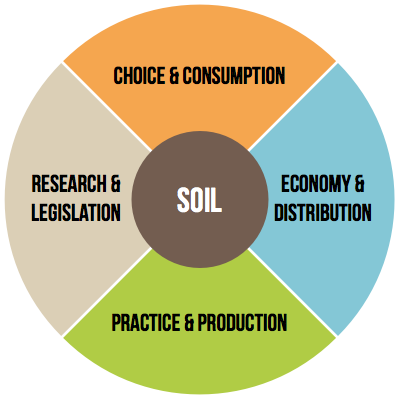 Summer of Soilis a 5-week, multi-disciplinary accelerator program designed to awaken and inspire a collaborative movement to rebuild and maintain living soils. The program will include a series of hands-on soil-related Courses, an exhibition of regenerative growing practices and the 5-day Living Soil Forum for bringing conversation to action. The Summer of Soil presents the 5-day Living Soil Forum to activate and empower people to secure a better future for our soils. Through engaging key players in the agricultural system, from producers to consumers, we seek to connect people and ideas, to create common understanding, to integrate existing initiatives, and to promote genuine, cross-sector collaboration around solutions that work to secure and restore healthy, living soils for the sake of our health, food-security and climate. This entry was posted in Betr2Bokashi, Betr2garden, Betr2Permaculture, Betr2WormFarm and tagged Bokashi, Edible Garden, Gardening, Permaculture, soil, soil biology, Sustainable Gardens. Bookmark the permalink.